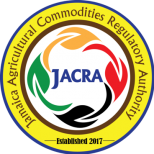 The Ministry of Industry, Commerce, Agriculture and Fisheries (MICAF) has taken note of recent adverse comments regarding the Jamaica Agricultural Commodities Regulatory Authority (JACRA), an agency of the Ministry. These concerns have been expressed by some members of the manufacturing and commercial sector and the Jamaica Chamber of Commerce and have been published in sections of the media. In light of these concerns and JACRA’s very important role in promoting and regulating the trade environment for the named commodities, the Ministry is taking particular care and due diligence in examining the issues raised. To this end, the Honourable Minister has assigned a working group to carefully assess and review all aspects of the JACRA Act and its Regulations as well as the concerns raised. This review is scheduled to be completed soon and, at that time, the Ministry will provide a comprehensive statement on the matter. JACRA was established for the development, regulation, and standardization of the agricultural commodities (Coffee, Cocoa, Coconut and Spices) industry. © 2019 Jamaica Agricultural Commodities Regulatory Authority. All Rights Reserved. / Designed & Developed by Chrysalis Communications.